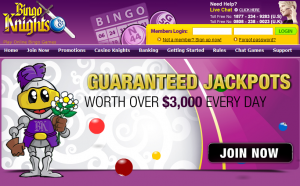 It’s time to visit your Bingo Knight in shining armour. He’s been buffing up his metalwork so you can almost see his bingo balls in it, and boy, has he got a welcome for you. Play between August at the 23rd and September 5, where every win will earn you big points. And points will help you to climb up the ladder to claim some incredible prizes. The Bingo Connect Program will be playing over two levels over two weeks. Level one takes place from 23 August to 29 August with up to $100 to be won in the Chocolate Room and the Freedom of Speech Room. Level two then begins on August 30, and you can be scoring mega points for every win. At the end of the tournament, the winner will bag themselves a Toshiba Wireless Digital Photo Frame and second prize will win $50 in cash. And to celebrate the dazzling display of Northern lights that have been seen over our fair country, look out for giant explosions in the Quarters Room every weekend night between 11 PM and 2 AM at bingoknights.com. Shooting stars, meteors, and Northern lights will be in evidence, as you bingo on the various celestial patterns to win $30 guaranteed on every game. There are plenty of other exciting online bingo promotions going on at Bingo Knights throughout August — if you aren’t a member yet, you need to get there right now to take advantage of an incredible 300% welcome bonus. Your Bingo Knights in shining armour are awaiting you m’lady!